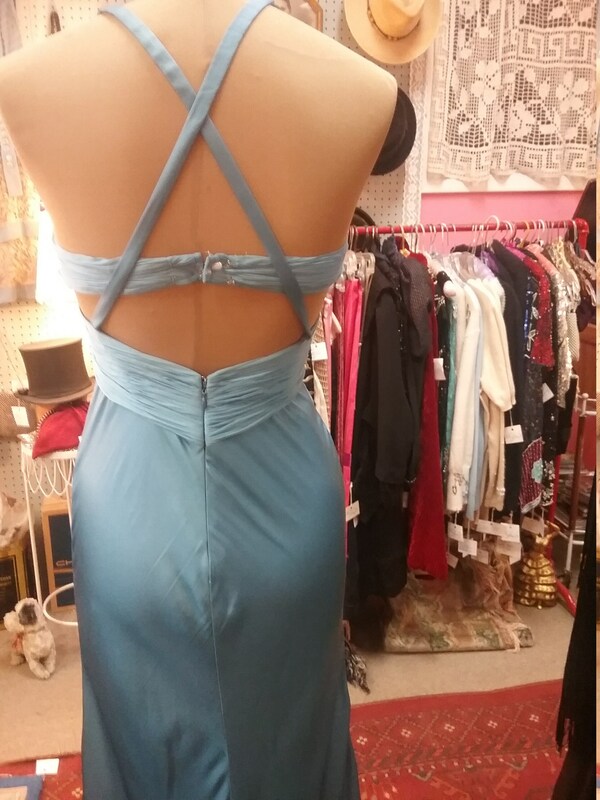 Versace 1990's, 36"bust, periwinkle blue pure silk satin gown, with pleated chiffon bra, and long front slit with light blue chiffon backing. Back zipper, hook and eye fastener gown. 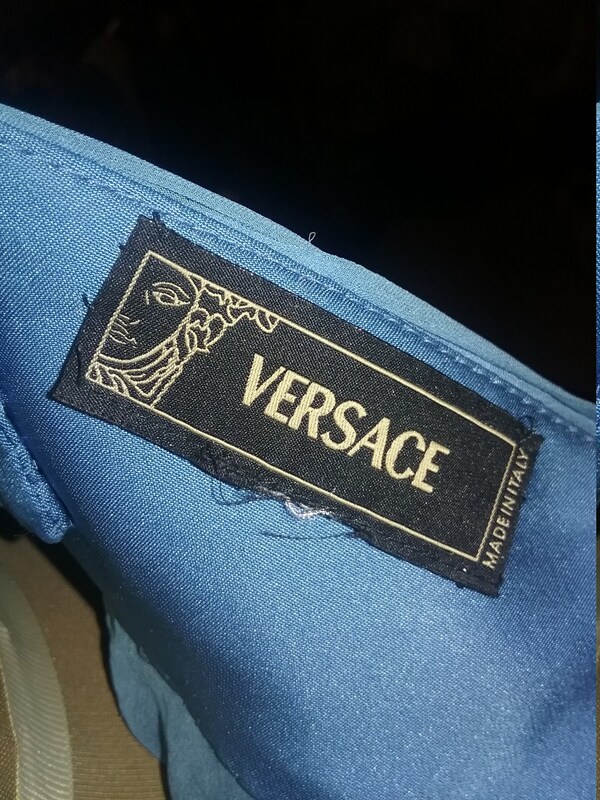 Versace made in Italy.